Although according to Cat Stevens "The first cut is the deepest," last week the second round of voting for Best Canadian Music Website in the CBC Radio 3 Searchlight stung a little too. Thirty websites and blogs were eliminated. N2D was one of them. We can say we are in fine company. And there really aren't any losers here. Everyone nominated is a winner, because Searchlight helped shine a little light on these sites, many that either began as or continue to be side projects born of passion for the Canadian indie music and artists we love. Congratulations to the Top 30 and best of luck in the upcoming weeks. 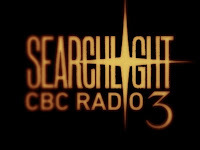 Thank you to CBC Radio 3 for presenting Searchlight, and most of all, many thanks to everyone who took the time to vote for N2D. It was a little thrill ride we really didn't expect. Aren't those the best kind?